Hey there survivors, supporters, surfers of the internets. This is the first post for the Beauty After Bruises blog. Here we hope to talk to you more informally and share our thoughts, ideas, and so much more. Our hope is to build an archive full of useful information to you as well as a wealth of support and a stronger community. 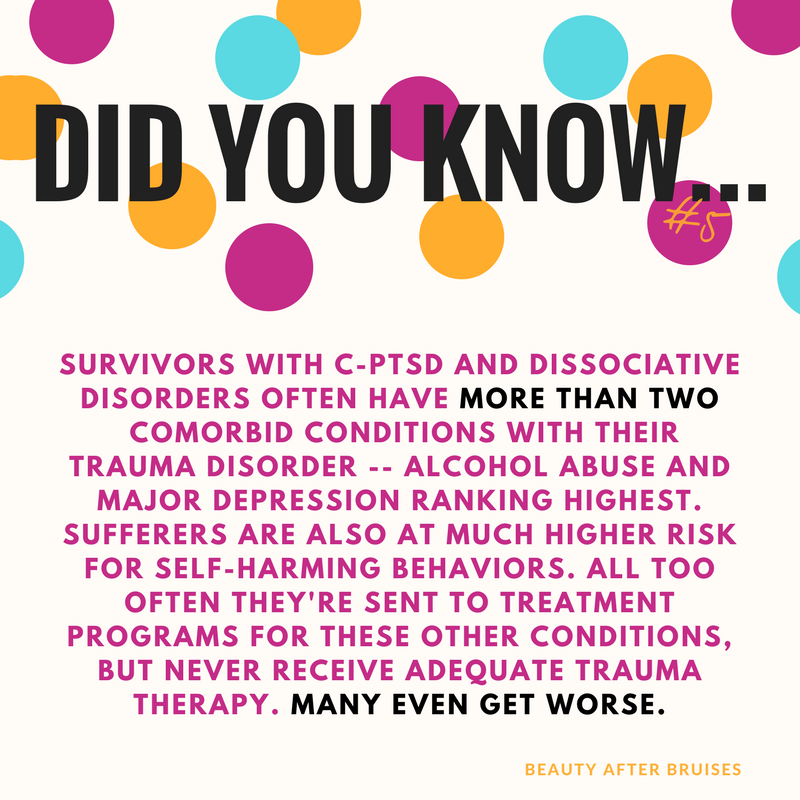 We plan to bring you posts on things like grounding and other symptom management techniques, how to find a therapist, defining some lingo in this C-PTSD world, strategies for getting through certain holidays and anniversaries, the process of accepting that you're a trauma survivor, ways loved ones can support you, signs of abuse, boundaries, the importance of and examples of self care, and just so so much more! We will likely have a few various writers here and there from the Beauty After Bruises team, but it will likely be predominantly led by the same person. We hope you'll support us in this endeavor, but far more than that - as a servant to you - we hope our content will be of great value to you and that you will feel our support and love through it.